This book is intended to give a basic knowledge of Staad Pro V8i to those who do not have previous exposure to this software. This is highly useful for students of civil engineering who want to develop design skills by using this software. Concrete and steel modelling and design examples have been given to increase the readers’ knowledge about both steel and concrete structures. Any civil engineer can learn Staad Pro by following the step by step procedures explained in this book. This book is highly suitable for Indian Engineers, as in all examples Indian code methods have been followed. 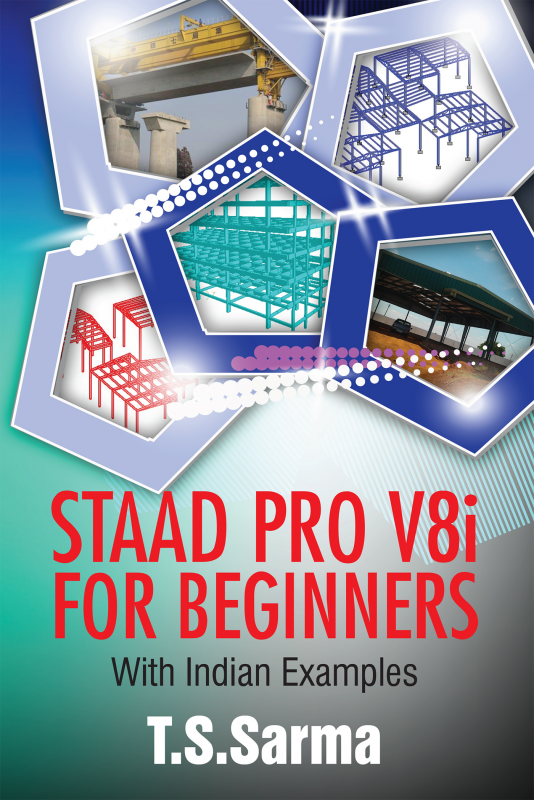 This will greatly benefit practising engineers and students in India as this is the first book on Staad Pro V8i with Indian examples. The author has vast experience in designing concrete and steel structures. He has worked in various Indian and multi-national companies, where he was involved in the design of power plant structures, refineries, commercial buildings etc. Now he is the chief advisor to a structural design company in Andhra Pradesh and deals with design projects.